Your safety always comes first! At Savvy Chic Nail Cottage we provide our clients with quality nail services while maintaining the highest level of cleanliness and sterilization available. We set ourselves apart from other nail salons by going beyond the State Board of Cosmetology standards. Not only do we clean and disinfect, we sterilize all stainless steel tools in a heat-sterilization unit called an Autoclave. An autoclave is a device used to sterilize equipment and supplies by subjecting them to high pressure saturated steam, the same process used by dentist to sterilize their instruments. Very few salons use an autoclave because of the high expense, but we believe our clients are worth it. We only use brand new files and buffers for each manicure and pedicure. Never a worry of cross-contamination from other clients. For our pedicures we use tubs with disposable liners that are thrown away after every treatment. This is the safest and most sanitary way for you to enjoy your pedicure. 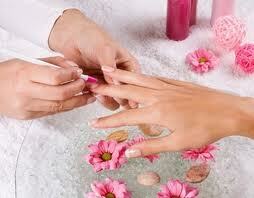 At Savvy Chic Nail Cottage, you get what you pay for, with the added bonus of being worry free.